Thinking about FAE for my 2016 F22 with the Raptor 400. For those who have done it, how do you like it? How much of a pain was the install? Any reduction in noise inside the boat or is it all behind the boat? Would you do it again? Except I won't have a before and after. I'm putting it on this spring before her maiden voyage. I don't know alot about FAE. I have seen it change the wakeboard wake. You should see if the stock one from MB will work. I installed it after having our 18 for a few months about 35 hours. It is awesome. No exhaust and quieter. midnight is installing one on his 17. Lets see how that goes. I would have to say there would be zero practical difference between the net effect of FAE vs a factory surf pipe. I don’t see any way they could differ in a meaningful way. They’re all FAE licensed products anyway I sure sounds like? He invented and protected it, and OEMs have to license it from him. I think he sued the daylights out of Nautique when they made their surf pipe. Time flies like an arrow; fruit flies like bananas. Quieter inside or behind the boat only? I had 2017 440 engine B52 23 with no FAE/Surf pipe. Just picked up our 2018 575 with Surf Pipe and it is significantly quieter. Not sure how to measure the engine change going to the new 575 compared to having the surf pipe now. 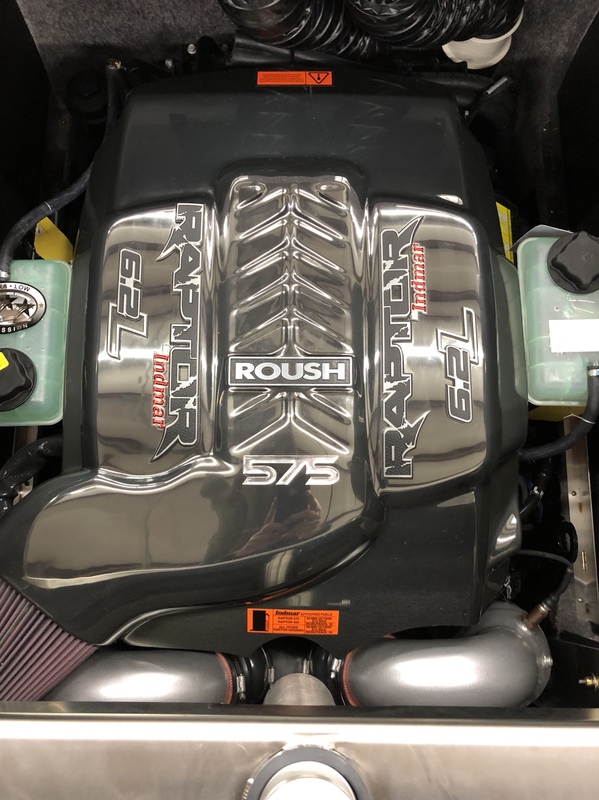 RPM’S are way lower with the 575 compared to the 440. If anyone is thinking on weather or not to add on a new build my opinion its a must have. If I had the 2017 still I would have been adding that now while the days are still cold. 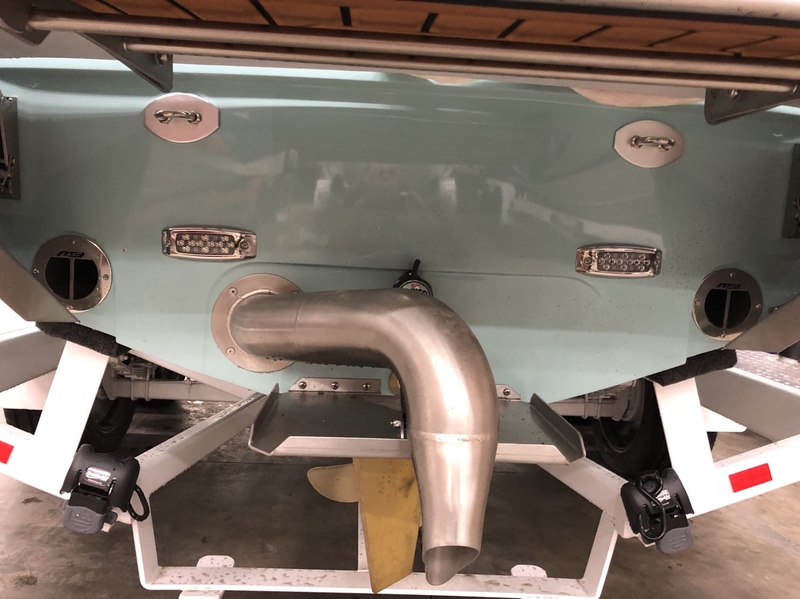 It will seem quieter in the boat but technically the engine is not any quieter inside the engine compartment and the exhaust noise is projected out the back down towards the water with the factory outlet . But behind the boat will be silence! The installs are pretty straight forward. Maybe half a day for a person handy with basic tools. Yes, the noise reduction is noticeable. The 575 is way quieter compared to to 440. I know this for a fact. Adding the factory surf pipe made the interior quieter. I have not been behind or had anyone in the water since I put the surf pipe on. Just remember you can't add a surf pipe or FAE to a 575. I couldn't tell if he was being sarcastic or not...I thought Don and one other 575 owner had them. Im gonna have to go to deer creek just so i can see this thing! When I got my 575 I was told not to use FAE. Since then MB has worked with another company and designed one that does work. I think the above was sarcastic since I posted earlier you can't put on 575. FAE will work just fine on a 575. Don had posted that, but since has gotten a surf pipe. There is no back pressure issue, nor is there an FAE issue. The factory surf pipe is very likely to be a licensed FAE pipe anyway, regardless of who makes it—since Larry has it patented. Reduced RPMs really helps. A 440 is very quiet at 3200 vs 3700 as well.